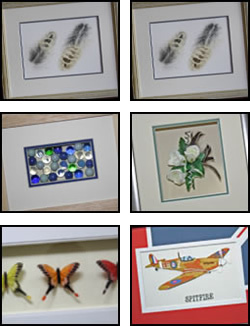 Your Picture Framer provides high quality bespoke made frames and we strive to ensure you enjoy a superior customer service and product from us. With many years experience our framer continues to keep abreast of the best techniques and materials to guarantee that quality to you. We have a strong commitment to protecting your art and will not use any invasive techniques. You don’t need to know what is going on inside your custom made frame but we do and care passionately enough to ensure no harm will come to your possessions. Click on our Services page to find out more.